Tohoku region is the area of northern Japan contains 6 prefectures; Aomori, Iwate, Miyagi, Akita, Yamagata and Fukushima. There are lots of attractions that you can only encounter in northern part of Japan, such as nature, history and food. In this article, I will introduce some of the attractions. There are 6 prefectures in Tohoku region, Aomori, Iwate, Miyagi, Akita, Yamagata and Fukushima. As the area is located at high latitudes, the weather is almost same as Hokkaido: cool in summer, severly cold with lots of snow in winter. Therefore, it's beautiful with lots of nature in summer with many delicious local foods and filled with snowy attractions such as skiing. Tohoku Region is a perfect place for people who want to experience rural Japan's atmosphere and surrounded by beautiful nature in Japan. 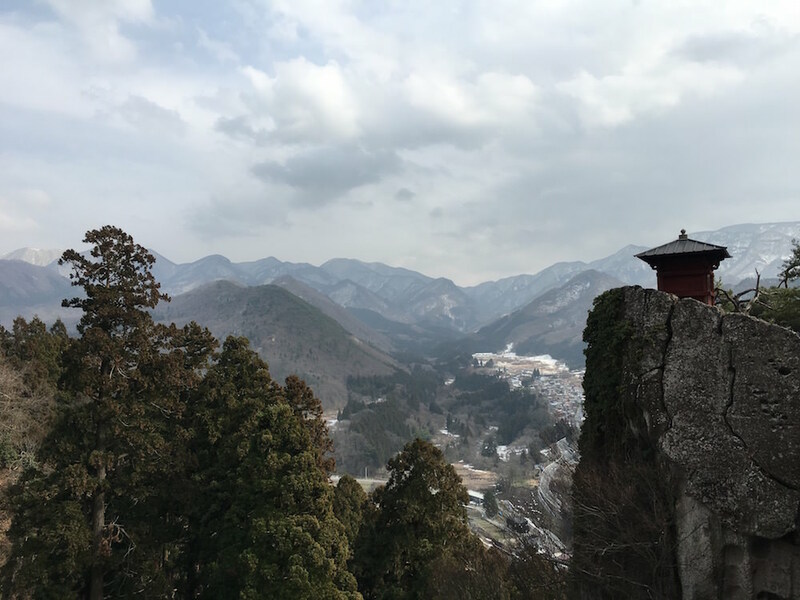 With the longest mountain range in Japan Ou Mountains (奥羽山脈) running in the middle from north to south of Tohoku region, numerous mountains and rivers with seasonal sceneries are in the region. Especially in the winter, many parts in the Tohoku areas get heavy snow, as some parts are specified as the “heavy snow area” (豪雪地帯 gousetsu chitai) by the government. You sure will be moved by the scenery of snow covered mountains. Tohoku region has developed their own culture, such as Hiraizumi and you will be able to see that culture in architecture and unique food cultures. The famous poet “Basho Matsuo” wrote about Tohoku region when he traveled around. There are lots of historic sights; shrines, temples, and castles, as it tells us the unique culture of Tohoku region. Also, you cannot miss food when you try to understand the attractions of Tohoku region. Water flows in the rivers of Tohoku is very clean and delicious. The fruits developed with the water, local food, unique b-class (casual) gourmet will definitely make your trip memorable. JR provides “JR East South Hokkaido Rail Pass” for tourists from overseas, which lets you 6 days free ride in the Kando, Tohoku, and some part of Hokkaido region. There are so many nature sights in Tohoku region, such as Oirase Gorge, Lake Towada, beautiful Mount Iwate, Genbikei Gorge, Geibikei Gorge, and the famous Shirakami Sanchi which is registered as one of the UNESCO World Heritage Site. The water of Oirase Gorge flows from Lake Towada in Aomori prefecture. The 14 km trail keeps you astonished. There are promenades along the gorge and you will be able to take a walk along the river. It gets especially beautiful in autumn when the leaves get colored in red and yellow. Note that you will need to request a guide to hike Oirase Gorge in winter since it gets a heavy snow. Geibikei in Hiraizumi, Iwate prefecture is surrounded by quays on the both sides with different sceneries depending on the season. They offer a boat cruise to fully enjoy the beautiful gorge. Shirakami Sanchi is a mountainous vast virgin forest straddles both Aomori and Akita prefectures. It is registered as one of the UNESCO World Heritage Site with Yakushima. The famous course is “4 temples pilgrimage” which Ennin (Jikaku Taishi) fouded in 9th Century and in 17th Century Basho Matsuo also visited. One of the temple Chuson-ji is also registered to UNESCO World Heritage Site. Risshaku-ji also known as “Yamadera” in Yamagata prefecture. The view from the summit after 1,000 steps are so amazing that you will never forget. Chuson-ji has registered as one of the UNESCO World Heritage sites. Being a treasury for Heian arts, they get numerous visitors through out the year. Especially the Golden Pavilion is a must-see. 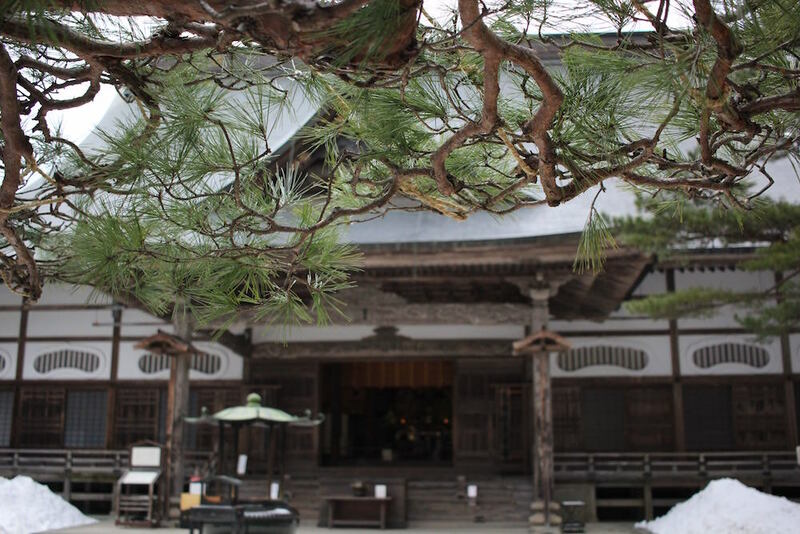 Motsu-ji is a UNESCO World Heritage sites together with Chuson-ji. They have one of the most famous and most beautiful Japanese garden. The last of 4 temples, Zuigan-ji, is located in Matsushima area, which is one of the “Three Great View of Japan”. There are lots of sites; castles, castle ruins, and shrines, relating to famous warriors Kenshin Uesugi and Masamune Date. Hirosaki Castle is located in Hirosaki City of Aomori Prefecture. The place is not only famous for the castle but also well-known as the largest producer of apples in Japan. Hirosaki Castle is famous for the pink scenery in spring: the molt of the castle gets covered by sakura petals and creates a magical scenery. Morioka castle used to be the residence of one of the most famous lords in the Tohoku Region: the Nanbu Family. Although there are only remains of the castle, people visit here to relax in the park to see cherry blossom flowers. Special Historical Site Sannai-Maruyama site in Aomori prefecture is one of the largest remains of the Early to the Middle Jomon period (approx. 5,500 to 4,000 years ago). With abundant nature surrounded, there are lots of local food in Tohoku that you would not want to miss. Aomori Prefecture is known as the largest producer of apples in Japan. As fruits from Japan is getting noticed with its juicy and sweet flavors, apples such as Fuji are no exceptions. Not only snacks for souvenirs use apples for ingedients, there is also a French restaurant which offers a course uses apples in all dishes. Cherries from Yamagata Prefecture is also famous. Some farms offer cherry picking for tourists and it's becoming a popular tourist destination. Soba cocked with water from Mogami river. Lots of famous soba restaurants are located along the Soba roadway in Yamagata prefecture. Yamagata locals’ favorites, cold ramen and cold niku (meat) soba are some of the most unique local foods from Yamagata Prefecture! - Best 5 food in Yamagata Tohoku Area You Cannot Miss! Find the best foods in the Tohoku Region! Because Tohoku region is surrounded by mountains, there are lots of hot springs. One of the most famous onsen district is Ginzan onsen, which leaves the atmosphere of Taisho period. There are plenty of other onsen resorts in Tohoku, too! Hachinohe Shuzo Brewery in Aomori Prefecture accepts visitors throughout the year. It's not only fun to visit the historical buildings but also the tour allows you to sample all the sake kinds they offer. It's definitely worth a visit if you would like to try seriously delicious sake from the Tohoku Region! As I've mentioned earlier, Tohoku Region is one of the best places in Japan to try skiing. There are countless ski slopes some of them very close to onsen resorts. Why don't you try skiing this year? Trekking or rafting in summer and skiing in winter. There are far more attractions and I can not introduce everything. Visit Tohoku and experience yourself! Find out more attractions in Tohoku!